With the arrival of Kung Fu Panda 3, Twentieth Century Fox Home Entertainment has re-released DreamWorks Animation’s Kung Fu Panda and Kung Fu Panda 2, in what they’re calling “Ultimate Edition of Awesomeness.” But just how awesome are these re-releases? The answer: A skadoosh amount! Read the entire review after the page break. In theaters May 27, 2011. THQ and DreamWorks Animation today announced that they have entered into multi-year, multi-property licensing agreements granting THQ the exclusive worldwide rights to develop and publish video games based on DreamWorks Animation’s upcoming animated feature films, Kung Fu Panda: The Kaboom of Doom and Puss In Boots, as well as the CG animated television show, The Penguins of Madagascar. The new agreements grant THQ exclusive worldwide rights to publish interactive games based on these DreamWorks Animation properties for all console and handheld systems, including Xbox Live Arcade, PlayStation Network and Nintendo Wii Virtual Console, and wireless devices. 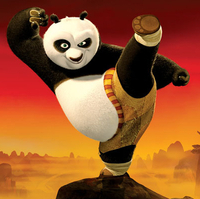 – Kung Fu Panda: The Kaboom of Doom, the sequel to Kung Fu Panda, is scheduled to be released on June 3, 2011. – Puss In Boots, based on one of the characters in the Shrek universe, is scheduled to be released on November 4, 2011. – Also, THQ previously announced the rights to publish videogames based on MegaMind (previously known as Oobermind), which is scheduled to be released on November 5, 2010. The morning it was announced that Pixar’s WALL-E had been nominated for six Academy Awards, including best Animated Feature. 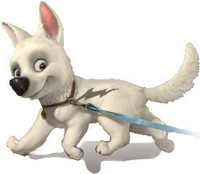 Competing against WALL-E are Disney’s Bolt and DreamWorks Animations’ Kung Fu Panda. WALL-E tied Beauty Beast as the animated movie with the most Oscar nominations. Rounding out the animated movie nominees were Waltz With Bashir for Foreign Language Film and La Maison de Petits Cubes, Lavatory – Lovestory, Oktapodi, Presto, and This Way Up for Animated Short Film. The 66th Annual Golden Globe nominees have been announced and Kung Fu Panda, WALL-E and Bolt were nominated for Best Animated Film. Both WALL-E and Bolt were also nominated for Best Original Song. 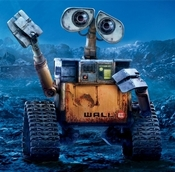 The nominated WALL-E song was co-written by Peter Gabriel and the “Bolt” song was co-written by Miley Cyrus. The Golden Globes ceremony will be broadcast on Sunday, January 11th, 2009 at 8 PM EST on NBC. The 36th annual Annie Awards nominations have been announced. Leading the pack is Kung Fu Panda with 17 nominations, followed by Bolt with 9 and Wall-e with 8.
â€œBolt,â€ â€œDelgo,â€ â€œDragon Hunters,â€ â€œ$9.99,â€ â€œThe Sky Crawlers,â€ â€œThe Tale of Despereauxâ€ and â€œWaltz with Bashirâ€ have not yet had their required Los Angeles qualifying run. Submitted features must fulfill the theatrical release requirements and meet all of the categoryâ€™s other qualifying rules before they can advance in the voting process. Under the rules for this category, a maximum of 3 films can be nominated in a year in which the field of eligible entries numbers at least 8 but fewer than 16. The 81st Academy Awards nominations will be announced on Thursday, January 22, 2009, at 5:30 a.m. PT in the Academyâ€™s Samuel Goldwyn Theater. Academy Awards for outstanding film achievements of 2008 will be presented on Sunday, February 22, 2009, at the Kodak Theatre at Hollywood & Highland Center, and televised live by the ABC Television Network. The Oscar presentation also will be televised live in more than 200 countries worldwide. DreamWorks Animation today announced that the sequel to “Kung Fu Panda” is expected scheduled for theatrical release on June 3, 2011. DreamWorks Animation also hopes to release the movie in IMAX theaters worldwide. The sequel will star Jack Black, Angelina Jolie and other original cast members. Running the show will be director ennifer Yuh Nelson, head of story “Kung Fu Panda.” Jonathan Aibel and Glenn Berger, writers and co-producers of the original film, will also return. The Hollywood Reporter reports that DreamWorks Animation will likely produce MADAGASCAR 3 as well as KUNG FU PANDA 2. No susprises here. After all, DreamWorks Animation is the same company who has plans for FIVE Shrek movies… Looks like Jack Black and Ben Stiller are in for some huge paychecks. The announcement was made by DreamWorks Animation CEO Jeffrey Katzenberg at a preview Wednesday of the upcoming MADAGASCAR: ESCAPE 2 AFRICA, in theaters November 7. 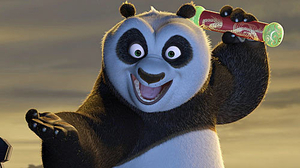 DreamWorks Animation’s Kung Fu Panda, starring Jack Black as Po the panda, has debuted as the number one movie, pulling in $60 million in ticket sales. This was more than enough to beat Adam Sandler’s You Don’t Mess with the Zohan, which pulled in a respectable $40 million in ticket sales. The top 12 films took in $172.4 million, up 32 percent from the same weekend last year.